And ....... it's FRIDAY! Alright. I hope you all had an amazing week. Once again, we had perfect weather here in Milwaukee all week. It was gorgeous. Dear Mother Nature: Could we just skip the snow and freezing temps this year, and keep the weather just like this until next June? Thanks! The weekend looks like it's supposed to be beautiful, too. We're planning on doing a few things around the house, getting out to a pumpkin farm, and, of course, tuning in to the Packer game on Sunday. Should be another wonderful fall weekend. As usual, here are some things that are floatin' my boat this week. You guys. My two plaid shirts have been on rotation these past few weeks. Throw on some leggings or jeans, and a pair of booties, and we're good to go. 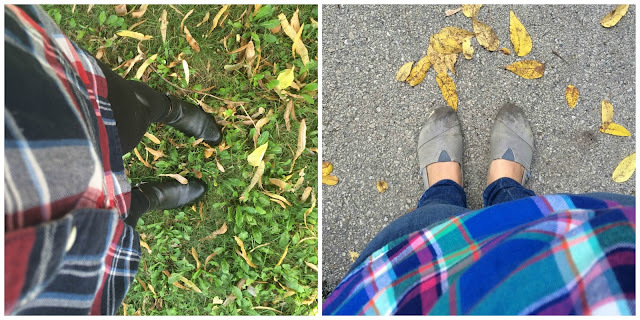 Plaid is definitely my fall uniform. 2. Continuing with the fall trend, I have a serious buttload of apples at my house. Like four bags full. I decided it was time to get abakin', and made an apple pie. Other than my sad attempt at a lattice crust, the pie turned out delicious. The recipe I used suggested brushing the edge of my crust with milk before baking to keep the edge from drying out. Worked like a charm! 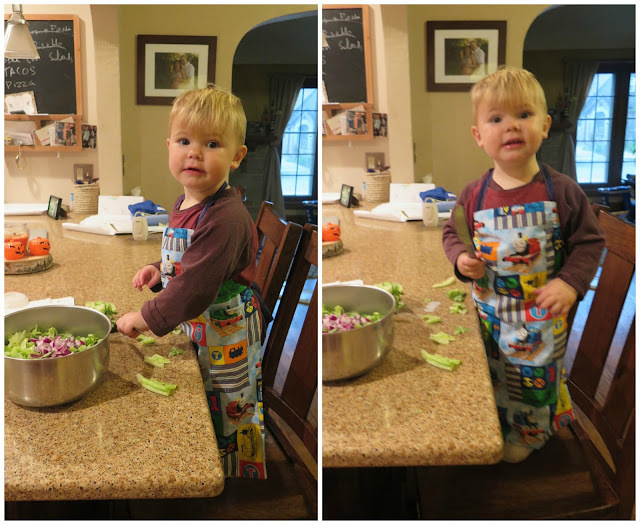 Now, send me all your apple recipes! 3. 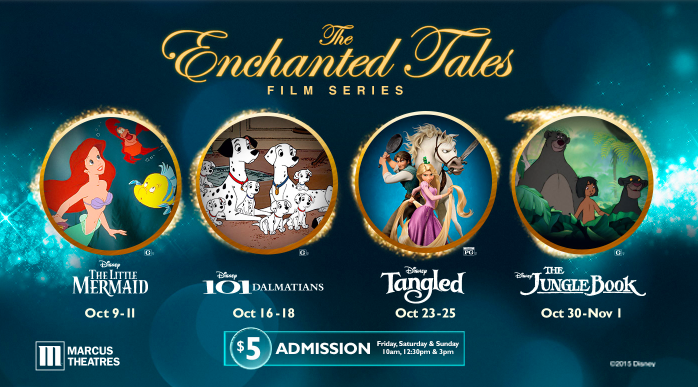 For the next four weekends, Marcus Theatres is bringing back a classic Disney Movie to the big screen for their Enchanted Tales Film Series. Callum has never been to a movie theater, so I think we're going to take him to see one of these movies. I'm sort of leaning towards 101 Dalmatians, but Matt really wants to do the Jungle Book. I'll keep you posted. 5. 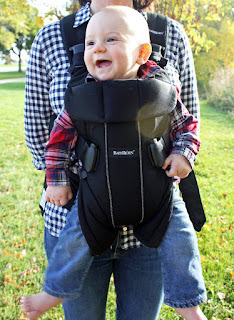 Last, but certainly not least, MKE Mom's Blog is giving away a new Baby Björn Carrier One over on their blog. Check it out!